Nakul Nath declared that he has movable and immovable properties worth Rs 615.9 crore, which is a lot more than his father Kamal Nath. 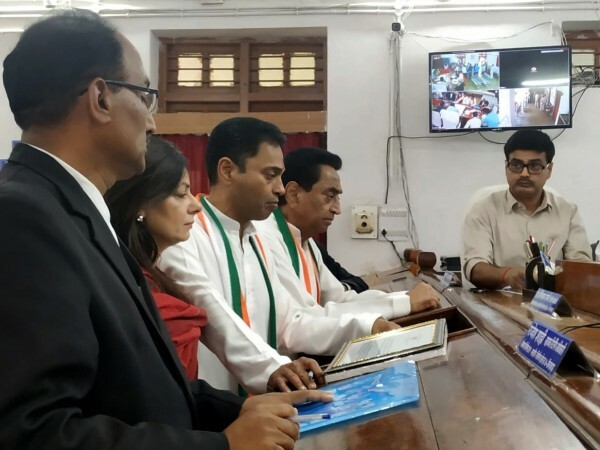 Madhya Pradesh Chief Minister Kamal Nath's son Nakul Nath is all set to contest the Lok Sabha 2019 elections from Chhindwara constituency in the state. He filed his nomination on April 9, Tuesday along with his father. He will be fighting against Nathan Shah of the BJP, who is a former MLA. What caught everyone's eye and had the country talking was the younger Nath's properties which amount to at least five times of his father's. Kamal Nath's affidavit declared his assets at Rs 124 crore. Nakul declared that he has movable and immovable properties worth Rs 615.9 crore, which is a lot more than his father who heads the Madhya Pradesh government. Nakul Nath's wife declared her assets worth Rs 2.3 crore worth movable and immovable assets. A PTI report states that, according to the affidavit filed, Nakul Nath's wife, Priya Nath does not have any immovable assets. However, her income was more than her husband's in the year 2018-18. She earned Rs 4,18,21,829 while her husband earned Rs 2,76,81,446. The affidavit also reports that both Priya and Nakul do not own any vehicles. Nakul's movable assets comprise of jewellery. He is in possession of 896.669 grams of gold bars,7.630 kgs of silver items, and diamond and stone jewellery of 147.58 carats. Together, they are worth Rs 78.45 lakh. On the other hand, Priya has jewellery worth Rs 57.62 lakh, comprising of 270.322 grams f gold, 161.84-carat diamond and stone jewellery. In the affidavit, Nakul said that he has many bank accounts and also owns shares in firms and colleges such as the Institute of Management Technology (IMT) in Dubai and Sharjah as well as some shares in Span Air Ltd.